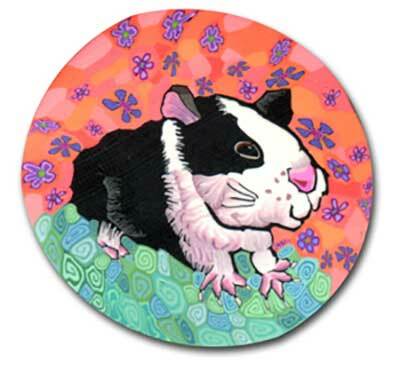 Layl McDill began working in polymer clay in 1993. 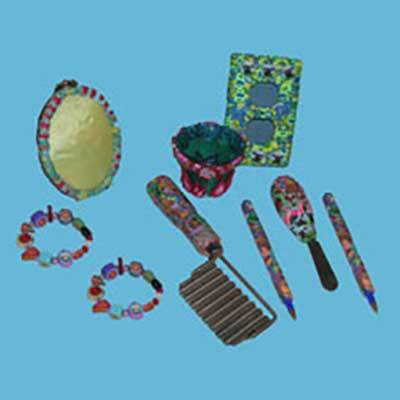 Through the years, she has developed a millefiori process by which she first creates an illustration and then builds it into a colored polymer clay cane. When the colorful clay image is complete, it is about the size of a paint can. The cane is then stretched out until everything is about the diameter of a quarter. Layl calls her millefiori canes Silly Millies. 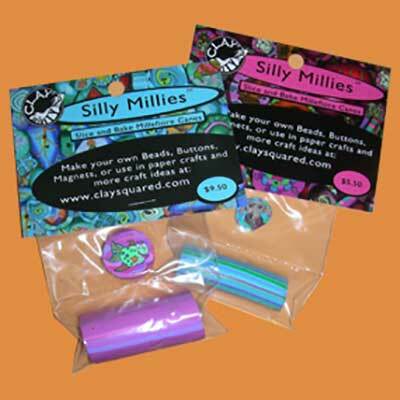 Silly Millies are slice and bake polymer clay millefiori canes. A picture extends all the way through the cylinder of clay called a cane. The canes bake in a regular home oven at 275 degrees and can be sliced to make beads, buttons, magnets, or to cover glass jars, knobs, pens, ornaments, frames, jewelry etc. Large Silly Millies are 2 inches long and the diameter of a quarter. Small Silly Millies are 2 inches long and the diameter of a dime. If you don't want to bake them for yourself, you can also purchase pre-made beads, buttons, magnets and pins. 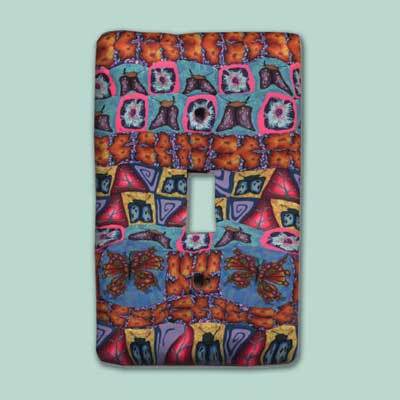 And, if you don't see something you are looking for, just contact [email protected] and ask her to customize one for you. Use an oven thermometer to make sure your oven doesn’t run too hot. Harmful fumes are produced when the clay bakes at over 300 degrees. Use a utility knife blade, scraper blade or x-acto blade. 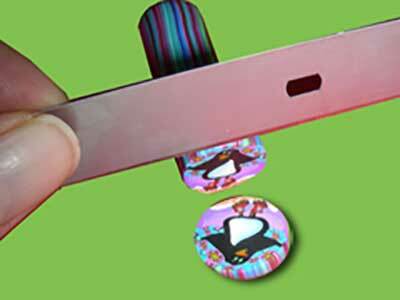 Thick slices for beads (about 1/4 inch), thinner for buttons or other projects. Poke hole through the wide/face part of the clay with a toothpick before baking. Poke hole through the thin/side of the clay (not through the picture) with a toothpick before baking. It's chock-full of project ideas, and processes on everything Silly Milly.